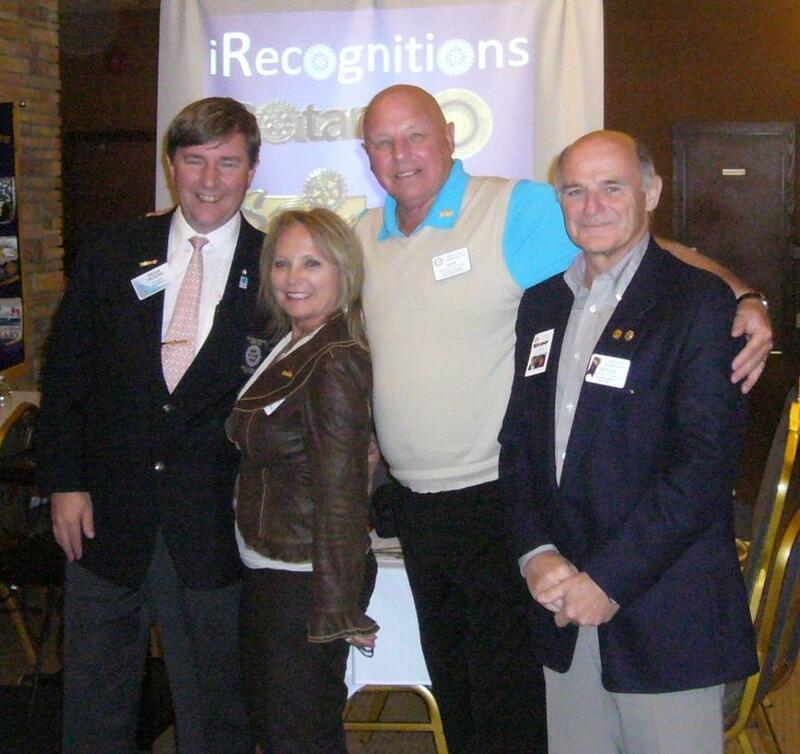 DG Sean Hogan and wife Carol visited the club on October 9 where Sean laid out the districts four goals for the Rotary year. 2013 will be District 5050s 25th anniversary. Sean gave us a preview of the District Conference to be held May 30 to June 2, 2013 in Vancouver. The conference will include a flash mob, trolley tour, Aquarium visit and will be integrated with a youth conference. A part of the DG visit is the awarding of a special service pin to two club members chosen by the president. This year the honours went to Karen Hutchison for stepping in as President elect and supporting the president in his work, and Rob Wolfe for his work on the Cancun partnership. CONGRATULATIONS to two of our exceptional members.